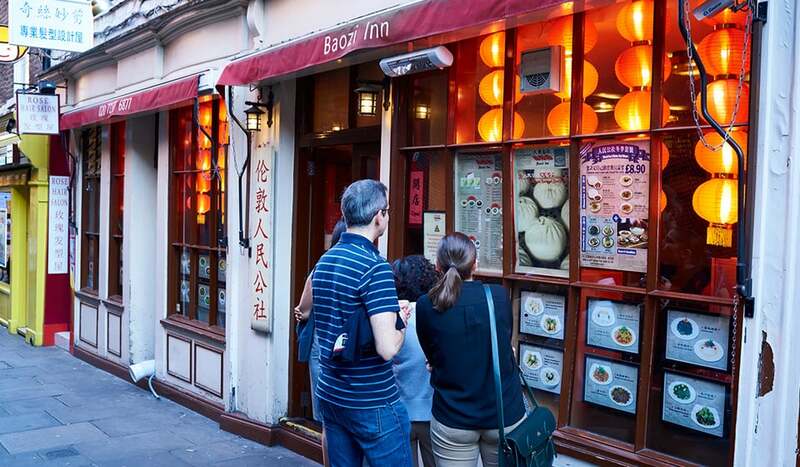 Baozi Inn’s signature dumplings are so good they named their restaurant after them. 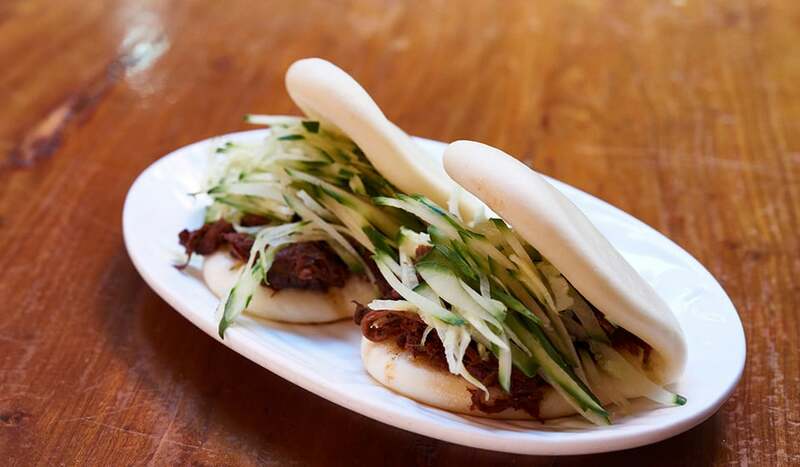 Specialising in Sichuanese spicy street food and sharable plates, Baozi Inn’s giant bouncy buns are unique to most, made from flour or white wheat rather than rice. The result is a denser shell in which its filling is ensconced. 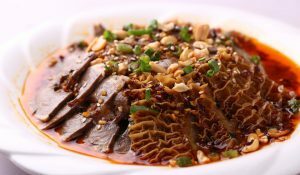 Bite into the puffy casing of one of these fist-sized parcels and you’re met with a densely packed, flavoursome interior like tenderly steamed pork or diced oriental vegetables. 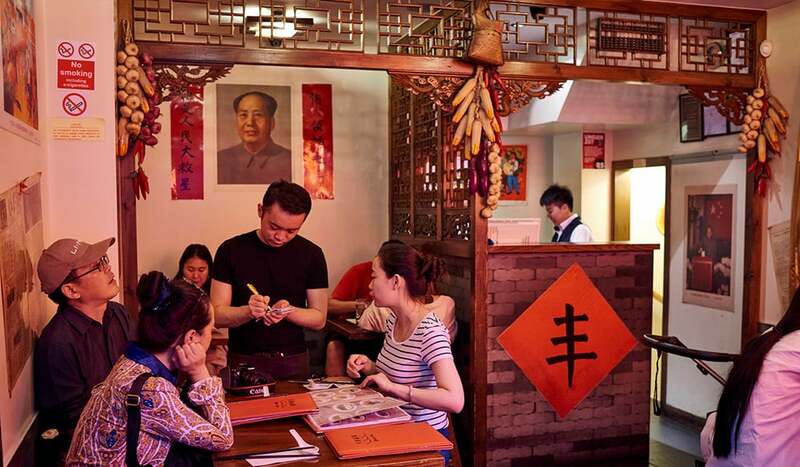 The small, but perfectly formed, eatery is playfully decorated like a Communist-era farmer’s home, with a Chairman Mao portrait presiding over the place, columns of red lanterns and vintage newspapers adorning the walls. 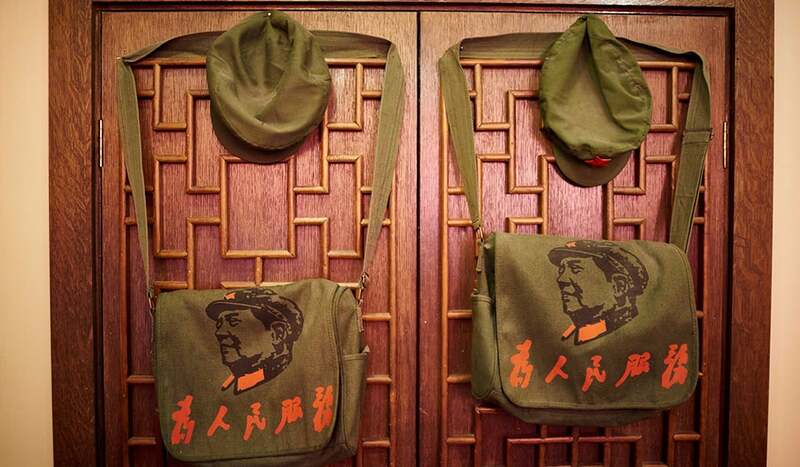 A hotspot for young Chinese Londoners, Baozi Inn brings the ironic, communism aesthetic revival trend in spades – along with seriously en pointe Sichuan. 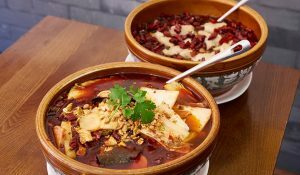 It’s a Sichuan place so we’re talking heat here. 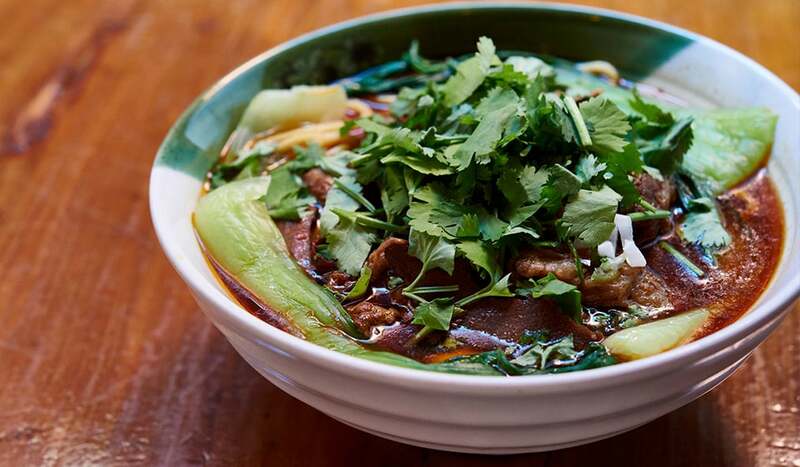 The traditional ma-la numbing sensation can be enjoyed (or endured, depending on your chilli tolerance) with their Sichuan Spicy Beef Noodles – a beautiful, bright crimson broth, loaded with chunky udon-style noodles, large cubes of slow-cooked beef and bright green coriander and spring onions. Those preferring something less powerful will love their expertly charred BBQ Pork Ribs, slathered in a sticky golden, honeyed coating. 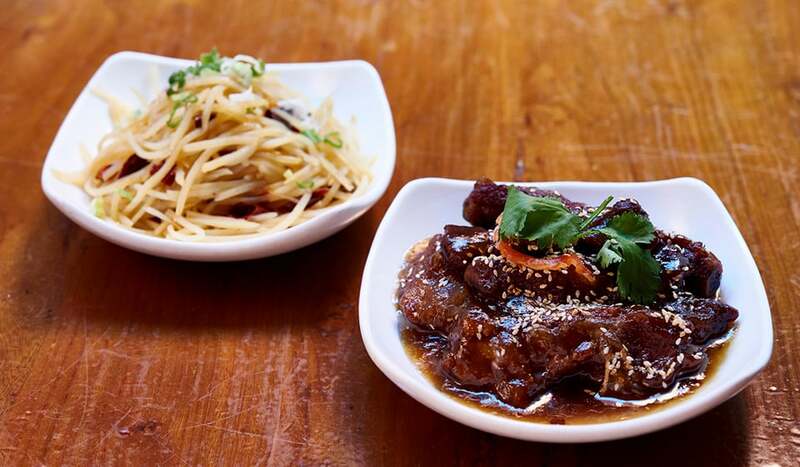 There’s plenty of veggie options too, from a pace-y Spiced Peanut Salad to an elegantly sliced Aubergine Salad on a bed of rice with pak choi. 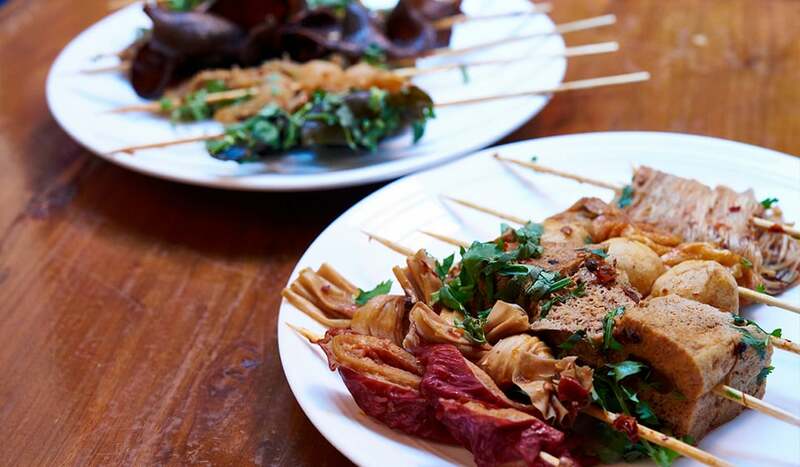 One of Baozi Inn’s other specialties is their hot-pot-esque skewered meats and vegetables. 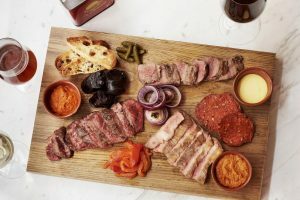 Just combinations of dry skewers that include everything and the kitchen sink, like Hot Dog, Kelp, Pigs Intestine, Black-Ear Fungus or Potato Slices. 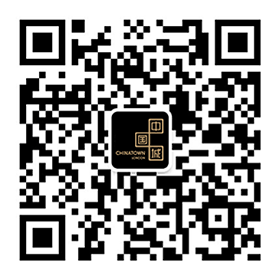 Mix and match choices until your heart’s content. 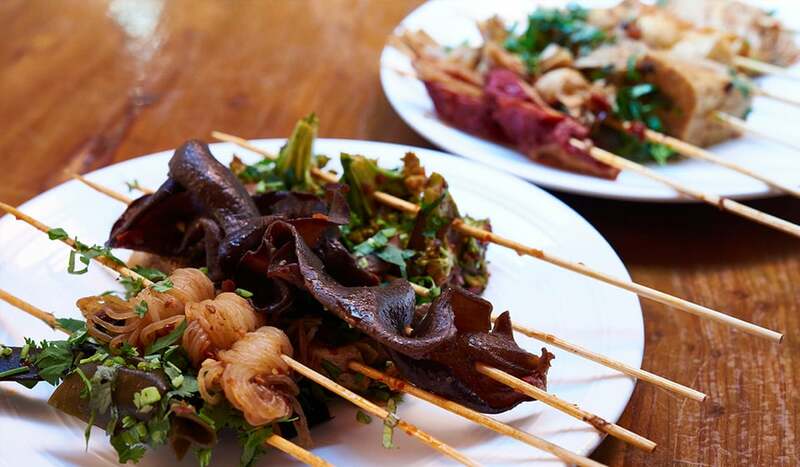 Tip – if you want skewers or buns to go, there’s a counter next door serving them to take away. 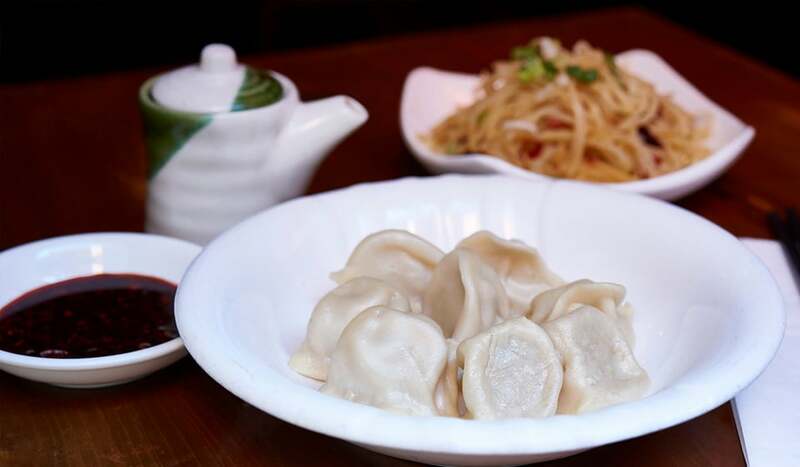 Given small plates are the order of the day here, it’d be rude not to order stacks to experience all Baozi Inn’s tasty offerings. All washed down with an ice-cold Tsingtao beer (or five), with Mao looking on approvingly.